Game will be played in solo mode. You should start with 100 sand blocks. Sand blocks were chosen because they are the easiest to remove if a mistake is made. You should also start with a shovel to remove any misplaced blocks. For the first part of the activity, you will be working in solo mode. The best way to learn about the game mechanics of Minecraft is to simply try them for yourself! To start, you should free-roam in the game for about 15-20 minutes. That means walking around, trying out the controls, and collecting materials. 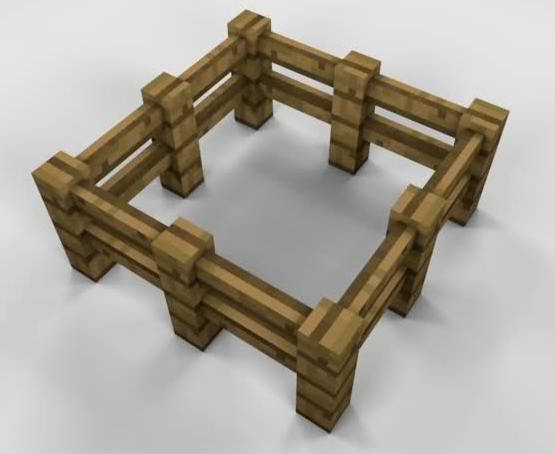 When you start to feel comfortable, try building a simple 3x3x3 cube out of sand blocks. Once you can do that, try a 5x5x5 cube. Next, try building a fence around your cube. Once you have completed these activities, please inform your teacher so you can move onto the advanced activities.